Zappi, the leaders in market research automation, needed support in adding thought leadership to supplement their product marketing efforts. After defining Zappi’s messages for the market, we worked with the team to develop content of interest and value to their customers to demonstrate thought leadership within automation. 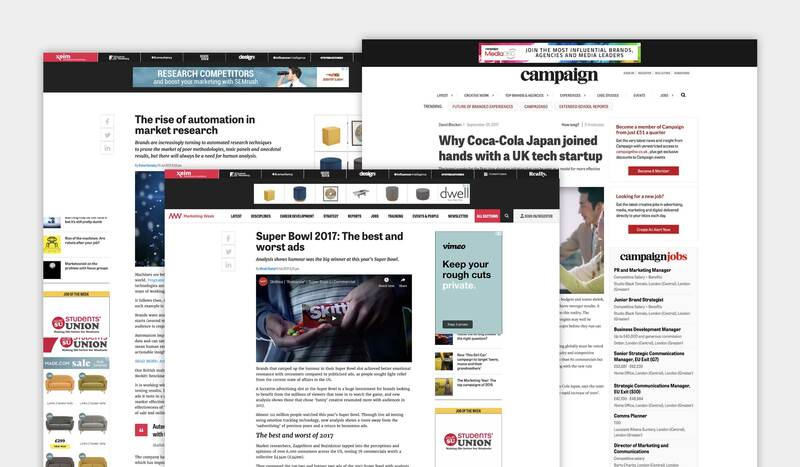 As a result we have generated significant coverage in MRX, marketing and vertical sector media in North America, Europe and Asia with regular blogging and feature articles. The result has been an increase in awareness for Zappi supporting its next phase of growth.